Marc Marquez does not have the pace to "run away" from the rest of the field during MotoGP's Argentina Grand Prix, believes Andrea Dovizioso. 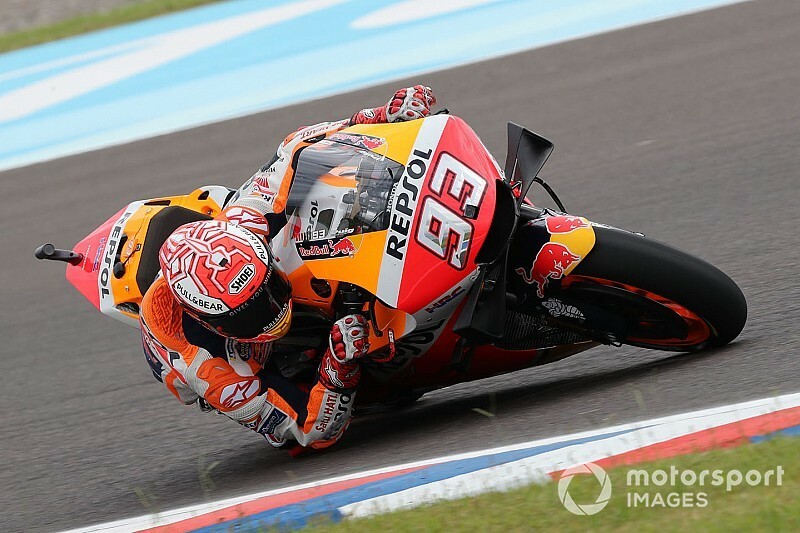 Marquez scored his fifth pole in six years at the Termas de Rio Hondo circuit on Saturday, beating Yamaha's Maverick Vinales by 0.154 seconds in qualifying. It followed the Honda rider pacing both third and fourth practice, establishing himself as the rider to beat in terms of race pace as well as over a single lap. 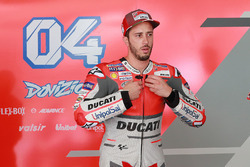 But Dovizioso, who qualified third on the best of the Ducatis, feels that Marquez won't be able to simply gap the field. 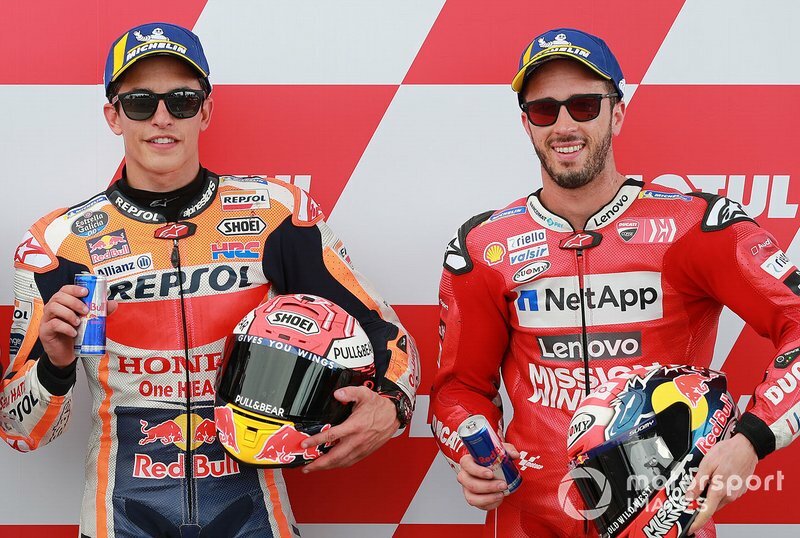 “Marc has proven to be fast in every round, while Cal [Crutchlow] has shown that he is particularly on form and I expect some craziness both from him and from [Jack] Miller,” said Dovizioso. 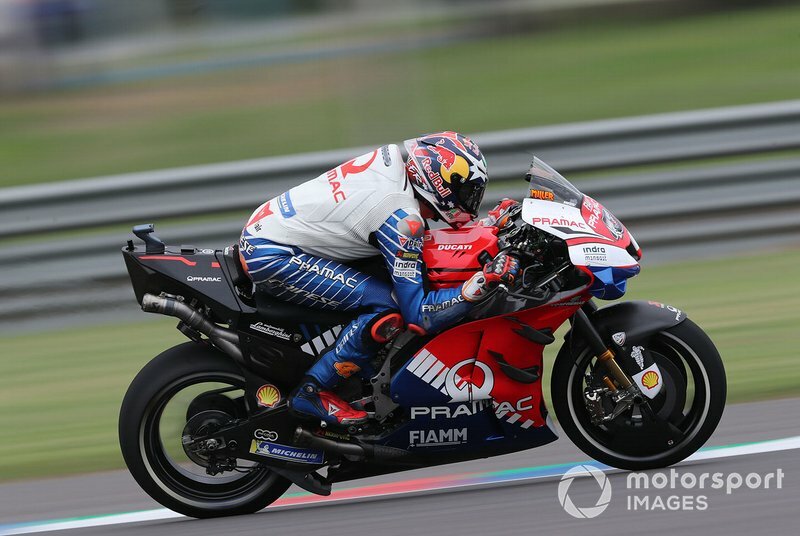 Pramac Ducati rider Miller said after qualifying he could have been on pole without a “big old high-side moment” at Turn 11 on his final flying lap. The Australian added that the strategy that Marquez chooses in the early stages could have a major impact on the way the race plays out. “I think it’s just gonna come down to what pace Marc wants to run tomorrow,” said Miller, “whether he wants to bolt at the start and manage it towards the end or if he’s gonna save the tyre for the last couple of laps. We’ll have to play it by ear and be prepared for both scenarios. "I feel like we’ve done our homework most of the weekend, so we’re ready to go. 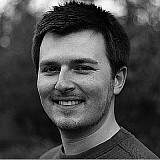 I think ours is probably the second-best pace [after Marquez]. "If you look at the timesheets over the whole weekend, we’ve been consistent." Valentino Rossi said he was satisfied to qualify fourth on the second factory Yamaha, highlighting the strong performances of satellite riders Franco Morbidelli and Fabio Quartararo, who qualified sixth and seventh respectively. But the seven-time premier class champion said Marquez would be difficult to threaten in the race. "The performance of the bike depends a lot on the track we are going, the grip of the asphalt and the tyres," said Rossi. "That we have four [Yamahas] in the first seven shows that the M1 here fits well. From the beginning we were able to go fast. “Marquez is the one who has a little more than the rest with both tyre [compounds], he is the favourite. We have come a little closer but he is still the main candidate to take the victory. For his part, polesitter Marquez named Dovizioso as well as Crutchlow, Rossi and Vinales as his most likely challengers for Sunday's race. 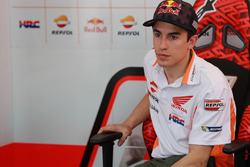 "Of course I'm waiting for him [Dovizioso]," said Marquez. "He suffered last year, but three years ago, when [Andrea] Iannone took him out, he was very fast. "Since last year the entire second half of the season the Ducati goes well everywhere, so I count him along with Vinales, Crutchlow and Rossi as rivals."